TES-SAVi stands-ready to provide you with end-to-end solutions. Be it your FACE component developments, your systems, and system-of-systems development needs; Verification efforts; and flightworthy and platform integration efforts. We can help you establish a reusable deployable FACE product line, end-to-end. Experienced Engineers with access to our AWESUM product line ensures we can develop and deliver product faster within budget. For a service quote leading to a Verification Service Agreement and verification of your FACE products, contact StephenS@TucsonEmbedded.com. As of May 2014, TES-SAVi FACE VA became officially approved and is sanctioned to serve as a registered FACE Verification Authority (VA) by the FACE Steering Committee. TES-SAVi FACE VA is the first-approved commercial FACE VA – the government has two approved VAs for their purposes. TES-SAVi FACE-VA acts as an independent third-party organization of a FACE Software Supplier, providing independent services through the Verification processes. We will work with you directly through the entire VA processes. The FACE Consortium has very specific guidance on how FACE VA services are to be conducted and TES-SAVi must operate within those guidelines. See FACE Conformance Policy (v2.0, January 2016, Document X1303) for additional details. FACE™ is a trademark of The Open Group. FACE VA’s are sanctioned and are responsible for conducting For-the-Record Verification tests and assessing Verification Evidence provided by a FACE Software Supplier. The Software Supplier is responsible for adhering to the FACE Conformance Program, as described in the FACE Conformance Policy. A contractual agreement must be established between the Software Supplier and TES-SAVi FACE VA. This Verification Services Agreement defines the services to be provided as well as the commitments of the Supplier to provide the required Verification Evidence, Software Product Set, and the Conformance Statement. Contact TES-SAVi to begin this process. To preserve the integrity of the FACE VA process, our FACE VA is “fire-walled” and kept independent from any Development Services. The VA acts as designated internal independent organization from any and all FACE Development services. Need some help getting passed the on-ramp of FACE development? The development and qualification of today’s highly integrated aviation products remains complex. So to is the FACE Technical Standard (v2.1), and the process to develop conformant portable FACE products. While they represent a forward step for open portable applications (i.e., Units of Portability) and represent better business practices, the Standard remains complex to understand, and FACE UoP’s require a difficult development processes. The Standard is evolving, improving; and once you have established a baseline of FACE product, then you can leverage reuse and develop additional product. Fortunately TES-SAVi, with over half decade of past performance, has extensive FACE product development experience, and we are expert users of our AWESUMTM tool suite. AWESUM produces FACE-aligned products that pass the Verification Process. Therefore we can provide you with FACE development services and provide to you products prepared to pass FACE Verification efforts. With our process and services, all proprietary data is kept confidential, and all products produced are owned by the customer. Additionally, if needed, we can also support Airworthiness Qualification efforts of FACE products on specific target platforms – just ask. Need a FACE Development Target? TESseract processor is loaded with a FACE common operating environment for embedded development or real-time safety-critical operations. TES-SAVi produces TESseract, a FACE architecture ready processor. TESseract is a processor loaded with a FACE operating environment. There are two flavors available, a development box, and ruggedized version prepared for military integrations. This is the perfect compliment for the development of your FACE applications and the demonstrations of your FACE products to your Customers and their awaiting market. TESseract was first introduced to the Market at the FACE Army Technical Interchange Meeting (FACE Army TIM) on 2 February 2016 in Huntsville Alabama. 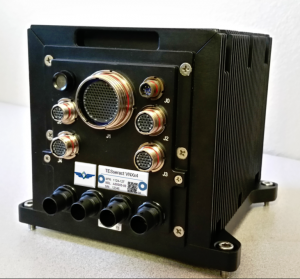 TESseract (our “FACE architecture in a Box”) a scalable, off-the-shelf solution for rugged, flight capable UAS computers featuring the VITA 74 Small Form Factor (VNX) architecture and technologies. TES-SAVi’s TESseract, loaded with FACE architecture libraries, is prepared to support a wide-range of Military avionics. No other product provides all of these features, nothing comes close. TESseract is designed to work standalone or within a triple redundant system, this processing center gives the user two QorIQ PowerPC based processors, a next generation communications card, and a host of avionics I/O; all in a package 1/3rd the weight and size of today’s standard 3U-VPX chassis. Wide-range input power supplies, a fully sealed conduction cooled chassis, and MIL-STD-810G based environmentals provide a rugged platform for embedded processing, able to operate in the most extreme UAS environments. Extensive use of optical interfaces ensures EMI protection of high-speed communications buses, as well as PCIe based shared memory rings between multiple VNX chassis. 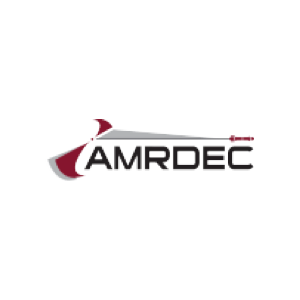 Through the selection of configurable I/O and MiniPCIe connection points, the system provides an array of serial, discrete, MIL-STD-1553, and other data bus interfaces, as well as options for embedded IMU, EGI, and differential GPS functionality. The TESseract VNXx4 is the first in a line of expanding systems which can shrink or grow as needs change, from a small 2 card system, to a fully redundant 8 slot solution. You can contact us today for information on ordering this amazing product, or get a quote for development services leading to verifiable FACE products.